Home Psychology of Technology Will There be a Backlash Against Technology? In a past post, I described my belief in the Law of Unintended Consequences, which suggests that we can’t predict how innovations will impact us individually or collectively. This law couldn’t be more relevant than in the influence of the Internet, and all of the technological advances that followed, on our lives. What makes the Law of Unintended Consequences so powerful in technology is the speed with which it has become the dominant force in the 21st century landscape. Consider that the Internet has been in public existence for less than 20 years. New technology gets woven into the fabric of our lives and our culture so fast that there is no time to stop and consider what impact it might have on our lives, for better or for worse. It’s only after new technology has been introduced are we able to look in our metaphorical rearview mirror and have the opportunity to look critically at the Frankenstein’s monster that has been created. But it feels like it’s too late to stop the tsunami of technology because we have already been assimilated into the collective or become wired to the matrix (to use two rather dystopian film examples). And there isn’t any way to go back. Or is there? We may have just reached the point when the technological advances have started to become just a bit more incremental rather than ground breaking, so that we can step back, a deep breath and reflect on what technology hath wrought on our lives. There seems to be a growing consensus that perhaps technology is not the panacea for all of our ills that it has been trumpeted as and that it may actually be something of a Pandora’s Box in our lives. A recent New York Times commentary questions whether our obsession with smartphones has gone too far. A recent video titled, I Forgot My Phone, that has gone viral illustrates how all of this new technology has led us astray. The dominant reaction that the video evokes is sadness at how misguided we appear when we are forced to look in the mirror at our digitally controlled lives and an incredulity at how much technology has taken away from rather than enhanced our life’s experiences. We’ve become performers in our own personal reality-TV show rather than participants in our own lives. We are promoting ourselves on social media rather than expressing ourselves in person. We are so busy recording special moments in our lives that we are missing those special moments in our lives. Our children are playing with their parents’ (or, even worse, their own) smartphones rather than actually playing. We are getting closer to people far away from us, but farther away from those close to us. The omnipresence of technology in our lives is taking a toll on us physically, psychologically, and emotionally. It causes us to feel trapped, stressed, and anxious. Being connected all the time and needing to input and output constantly is just plain tiring. That’s no way to do life! So my question is: Will there be a backlash against technology or is “resistance futile”? I’m going to bet on backlash, though not total rebellion. Not one in which we abandon technology completely and en masse. Technology has too much to offer for us to go totally Luddite. At the same time, I think many people are seeing that excessive use of technology is distancing us from what creates richness and meaning in our lives. They are seeing that they need to disconnect (in the new-school sense) and reconnect (in the old-school sense). And here’s a simple and practical step in the right direction: disable the pings and vibrations that notify you of incoming emails, text messages, and social media, and decide to check them, say, once every hour. Here is my promise to you. 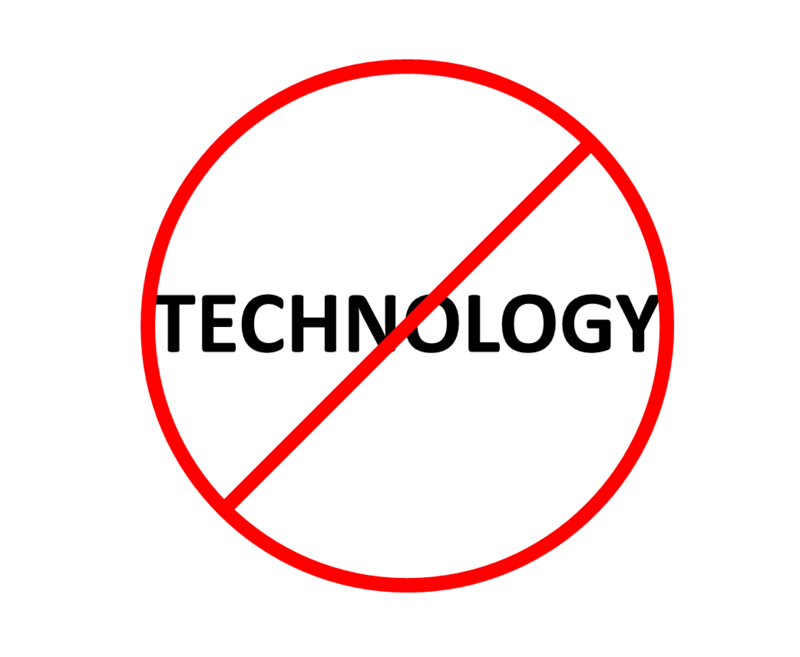 If you join me in this backlash against technology, good things will happen. After a short period of discomfort (it’s called withdrawals), you will feel healthier, calmer, happier, and freer. You will be more present and connected to other people and everything you do than any connection you have through an Ethernet cord or a cellular or wifi signal. Your relationships will deepen and everyone around you will appreciate you more. You won’t miss a thing. You will once again be engaging fully in that thing called life. Now that is the way to do life! Next articleNext time you get on The Incredible Hulk….. This is my toy! Not my Life.